According to the estimation of United States Department of Health and Human services, there are over 3.7 million child abuse cases. When we talk about child abuse, it is not just about physical violence but also involves neglect and emotional abuse too. Shockingly, parents abuse their own kids. Personally, we feel this to be very hurting. They are kids of your own blood! So, why do parents abuse their children? This is something we are going to tell you here today. Read on. Before we explain you the reasons, read the below section. The term “abusive parenting” has different meanings and interpretations. If a person is been abused, may it be an adult or child, he or she will naturally connect abuse with what has happened to him or her. To some, it can be emotional while for others it can be physical. The abuse, which we are referring here is the behavior carried out on consistent and regular basis. Humans are bound to do mistakes. However, there is a clear line between abusive behavior and odd behavior. Certain signs easily tell us if a child has been abused or not. Here are ten to make a note of. The first thing that a kid gets affected after an abuse is none other than his or her behavior. An abused kid often appears anxious, scared, aggressive, depressed and withdrawn. If you notice these signs, then know that there is something wrong. If a kid experiences physical abuse, then you will observe unexplained bruises or burns in different shapes. You might even hear some unconvincing explanations. An abused kid might express anxiety or apprehension while leaving school / going somewhere with the individual. Who is abusing. 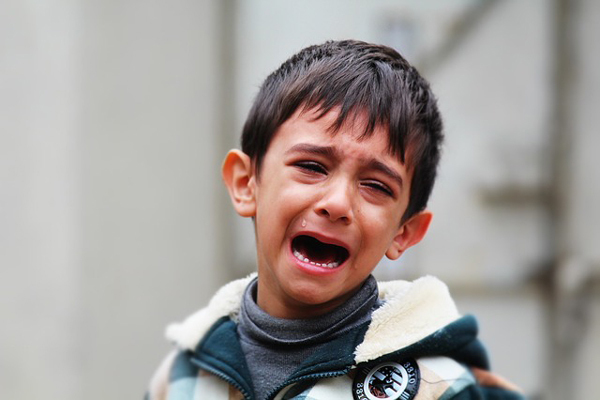 An abused child might display behaviors he or she used to do in early ages. Say for example, wetting the bed, thumb sucking, fear of strangers and getting scared of dark. Some abused kids may even experience memory problems or loss of fluent speech. Fear, anxiety and stress caused by abusing also leads to changes in a kid’s eating pattern. If this is the case, only two things can happen – the kid either loses weight or gains it. Yet another vital sign to note here in abused child is the way he or she sleeps. In short, his or her sleeping pattern. An abused child experiences frequent nightmares and might have difficulties falling asleep. As a result, he or she might appear fatigued or tired. A teacher might be able to differentiate this well, as he or she is the one taking care of kids. If a child is abused, a teacher might see him or her performing low both in academic subjects and sports activities. In fact, abused kids might have difficulties while concentrating. Neglected and abused kids might seem uncared. He or she might be consistently dirty or have body odor. In short, his or her appearance will not be good. Youths, who are being abused, might engage in some high-risk activities like alcohol, drugs, using weapons and so on. Kids, who have been abused sexually, might exhibit excess sexualized behavior. They may also use precise sexual language. Child abuse leaves scars for a lifetime. In fact, kids grow up with fear and in an unclear state of mind. They will neither be able to socialize themselves nor lead a healthy life. Believe it or not, abusive parenting is something that often goes secretly in our society. Hence, outsiders might not even notice it. Obviously, this happens behind the doors. It is clear that no matter what role people play in the society or the way they appear, parents from various backgrounds can turn abusive. Responsibility: Kids are dependent as well as vulnerable on their parents. In fact, their safety is under their control. Consequently, parents exercise responsibility and power. Now, what happens when parents turn irresponsible or abuse the power they possess? Or what happens when kids are perceived as objects by their own parents and why do parents abuse their children? Read the reasons below. An abusive parent is more likely to position himself or herself as someone, who wants his or her kids to be feared. This is when they start using different intimidation forms to influence and control their own kids. What actually happens is, their kids won’t be able to build a safe and trusted relationship with them. A child will always be confused as to what will happen further or how his or her parent is going to behave. He or she eventually experiences freeze, flight or fight on a daily basis. Few people get into parenthood with improbable expectations. They might be surprised the kind of attention and care infants and kids require. It is especially true for immature adults or teen parents. Oregon State University Extension Service claims that parents might turn abusive when they are angry due to a kid, who is finding it hard to handle things or when he or she is handicapped. The reason is that such a kid will require more attention and time. The aggression makes them to be abusive. If this is the case, Caregiver support, parenting classes and certain therapies might be useful to such parents. Believe it or not, adults who have suffered ill treatment or abuse in their childhood are likely to turn violent on their own kids. This is because the kind of family environment they have grown up is flawed. Similarly, if parents grow up with cruel discipline methods, they might be prone to aggression. However, certain therapies and parenting classes can give insights to assist such parents. Well, the cycle of violence or abuse can start even before the baby is born. This is especially, if the mom is an alcohol or drug abuser or fails to acquire proper prenatal healthcare in her pregnancy period. Such parents build violent household on their own. They start assuming that this is how a family should operate. Discipline for such parents always means – yelling, anger or aggression. Unemployment and financial problems easily make parents to feel that their kids are burden to them. These things create tension, anger and frustration. This is exactly the phase when parents start to abuse their children. We all know that parenting is not that easy as it sounds. It is stressful. However, this shouldn’t be shown to kids. Now, parents without proper support from friends and family are more likely to abuse their kids. If this is the case, there are many hotlines, which are usually available 24/7 to help such parents. Certain emergency shelters also provide an option to parents to drop off kids for sometime when they cannot deal with them. According to HelpGuide.org, drug and alcohol often leads to abusive behavior in parents because these make humans to lose self-control. You will be also surprised to read the fact that parents who involve in substance abuse will be 3 times likely to abuse their own kids and 4 times likely to ignore them. Kids of single parent are at a greater risk for the reason that there isn’t any second parent, who can diffuse the circumstance or guard the kid from abuse. This is an important reason you need to make a note of. Parents who are struggling with bipolar disorder depression, anxiety disorder or some other mental illness are less likely to handle the parenting stress. This easily makes them to involve in child abuse. Parents with such disorders will have difficulties caring themselves. When they cannot care for themselves, how can you expect them to care for others? They might be neglectful, withdrawn, angry and violent most of the time (even if it’s their own kids). If this is the case, treating the disorder is something they should do first, as this improves coping abilities, makes them feel better and decreases the child abuse chances. Caring for a special kid or one with emotional or medical problem in the initial life years can be very stressful to few parents. These circumstances can involve anywhere from colicky babies to premature infants, who are mentally retarded, exhibiting behavior issues or chronically ill. Parents of kids like this frequently feel frustrated or ashamed of their own kids. Caring for special kid is overwhelming to few parents. Moreover, the bond between the child and parent goes low. All the reasons listed above leads to abusive behavior in parents. If a child has been physically abused, you should see him or her with broken bones, bruises or even worse. On the other hand, for emotional abuse, you will see the kid often being depressed and deeply hurt inside with something. This kind of abuse often involves parents, who neglect a kid’s needs or do not support with what he or she wants. Dangerous circumstances may arise when parents undermine the kid’s self-esteem. Whatever the abuse is, it stays with the kid for his or her lifetime. This makes them to exhibit abusive behaviors when they turn into parents. Studies show us that most kids turn into abusive parents when they suffer low self-esteem. There are certain actions one can take to support kids as well as their parents. The first thing you are going to do is to start respecting others, especially family members. Always use a polite tone with the kids. When your kid misbehaves or does something you hate, just tell him or her that you don’t like what he or she did in a calm way. Let your kid understand you. Do not yell or hit your kid. Remember, violence teaches violence. Even if you are wrong somewhere, apologize to your kid. Do not forget to say – “I Love You”. Reward your kid whenever he r she behaves good but don’t make it as a habit. Treat occasionally. Expressing frustration and anger is never going to ease your stress or tension. It will only worse. Moreover, kids get affected a lot with such an environment. According to studies, kids are well behaved and happy when their parents are relaxed. Foster parent — it is not as easy as it sounds. However, the reward is certainly great because you will be supporting a kid to learn the various ways to feel safe and comfortable. Try volunteering some time in parenting support programs, alcohol/drug abuse prevention, child crisis shelters, helping homeless or other treatment programs. Consider helping pregnant teenager in learning parenting skills. Even better, you can become a mentor for a pre-teen via any mentoring programs. You can volunteer yourself at any daycare center, which serves support and care for neglected as well as abused children. It can be an organization, church or a club. Be The Best Humanitarian – How Much Do Foster Parents Get Paid?